Happy Friday Y'all!! Oh boy has it ever been a long week... I'll spare you the details but I apologize for my lack of posting! But to make it up to y'all I have a great guest poster for you today!! My wonderful friend and great cook... Brandie from The Country Cook! Brandie is such a sweetheart and I'm so honored to have her here to share with us today! Hello everyone! First let me start off by saying a big THANK YOU to Kim for letting me have some fun on her blog today. It is such a special treat to be here and to have a chance to share a recipe I hope y’all will really enjoy. 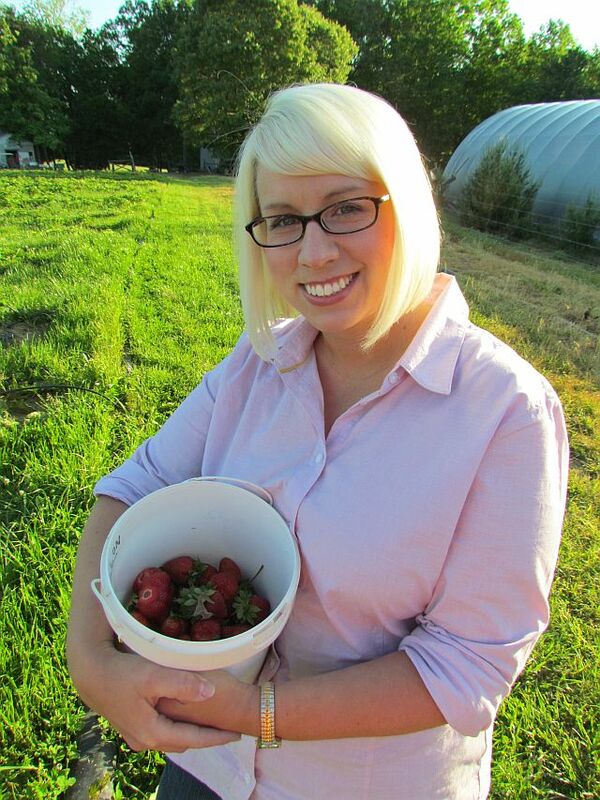 Kim has become such a good friend to me in this food blog world and I am so grateful to her for this opportunity. My name is Brandie, the cook over at The Country Cook. I live in beautiful Southwest Virginia near the Appalachian mountains. I’m a jack-of-all-trades, like most women. I’m a momma and a wife. I also work part-time outside the home. I love to make comfort food and I like to eat it (who doesn’t?). My food may not be considered gourmet or fancy but it feeds my family and it gathers us around the table each day. I cook a lot of the same foods my own Momma made and if my husband and son are real quiet while they eat– then I know I did good. And those are the recipes I share with everyone. So today I’m sharing pie. Who doesn't enjoy a good slice of pie. Even saying the word pie can make me drool with delight. This combines some flavors that most people enjoy. Banana Pudding with a Graham Cracker Crust. What’s not to love? Preheat oven to 350F degrees. Spray a 9-inch pie plate with nonstick spray. Place 45 of your vanilla wafers into food processor and pulse until cookies are finely crushed (reserve ¼ cup of the crumbs to use to top your pie). Mix remaining crumbs with melted butter. Firmly press into the pie plate. Bake for 10-12 minutes and then remove to cool. Now to make the pudding. In a medium saucepan over medium heat, combine the sugar, flour, and salt. Whisk in the milk and stir constantly until the mixture comes to a low boil and becomes thick (about 7-10 minutes). Reduce the heat to very low. In the bowl that you have your egg yolks in, add a couple of tablespoons of the hot milk mixture (this will keep your eggs from cooking). Add egg mixture to pot and stir constantly until mixture is thickened to the consistency of pudding (about 3-4 minutes). You may need to turn your heat up slightly to achieve this. Remove from heat and stir in vanilla. Now you’re ready to assemble. Arrange half the banana slices over the crust. Spread half of the pudding mixture over the bananas. Top the pudding with the remaining 20 vanilla wafers you set aside. Top the wafers with the rest of the bananas, then finish it off with the remaining of the pudding. Place in the fridge to cool completely. For the whipped cream, using the whisk attachment on your stand mixer (or hand mixer), beat the heavy cream, sugar, and vanilla until soft peaks form. It helps if your bowl and your whisk are VERY cold. 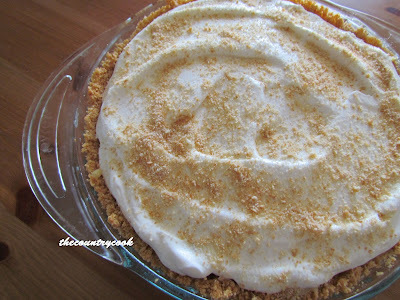 Spread the whipped cream over pie and sprinkle with the reserved crumbs. Pie only keeps for about a day in the fridge (bananas will start to brown). I hope some of y’all will come over and visit me sometime at The Country Cook. You can also find me hanging out on Facebook and Twitter. Thank you so much to Kim for letting me share this recipe today! I seriously LOVE this recipe, when I saw this is what Bran decided to share today I was ecstatic! I used to have something similar to this as a kid so I know it is good! (Though I've never ever been disappointed with a recipe Brandie's made!) I hope y'all enjoyed this post from one of my bestest blog friends! You can also find her on Facebook and Twitter! We love Brandie too. Our Southern friend. We visit her often and always enjoy her posts and pictures. Another great job today! I also adore Brandie's blog. This is a wonderful guest post - thank you for sharing this. That pie looks fabulous! Kim, your introduction was so touching. I got a bit teary-eyed. Wow - what more could a girl ask for?! Thank you for the warm and sweetest intro. and thank you for having me on today. I really hope your readers enjoy this recipe. Hugs to you my friend! I love Brandie's blog, she is just the sweetest thing ever and she always had great stuff! Thanks for sharing her here too! Looks delicious! What a beautiful, tasty pie. Kim, what a fabulous guest post...I'm a big fan of both you and Brandie! Brandie, I just tempted Bill with your recipe for a potential Father's Day dessert...it's now in contention!!! It sounds amazing! Ya know, I just realized you spelled it Banna instead of banana. Hahahaha. That has a nice ring to it, Banna Pudding Pie..lol. Such a lovely post...and recipe. Oh how I love cooked pudding pies! Thanks to both of you delicious gals for sharing!! Great blog I love banana and you looks so pretty, good jobs.